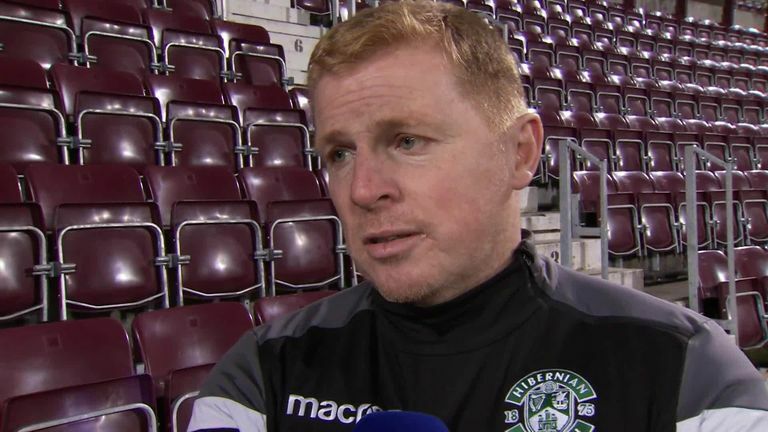 Hibernian manager Neil Lennon was hit by a coin and Hearts goalkeeper Zdenek Zlamal was also floored in the Edinburgh derby. Hibernian striker Florian Kamberi was sent off after 65 minutes following a mass confrontation that saw angry scenes on the pitch. First, Zlamal was floored after he went to retrieve the ball from the away fans behind the goal. Lennon was then struck after he gestured to the home fans to sit down after Hearts' Clevid Dikamona had a goal disallowed in stoppage-time. 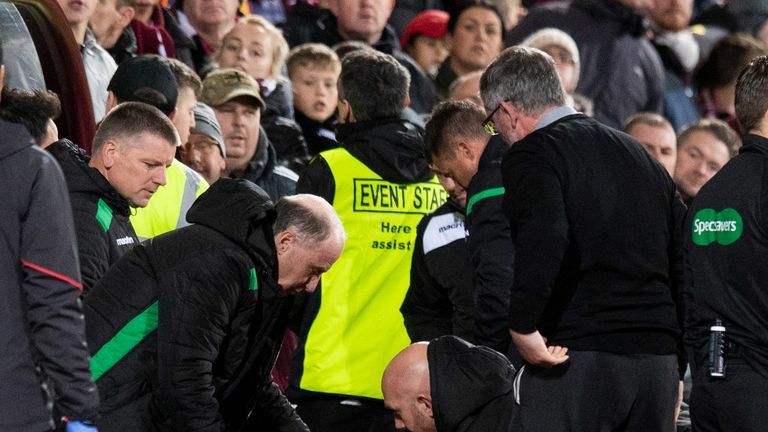 The Hibs boss - who was attacked by a fan on the touchline at Tynecastle while Celtic manager - fell to the deck but soon recovered after treatment. 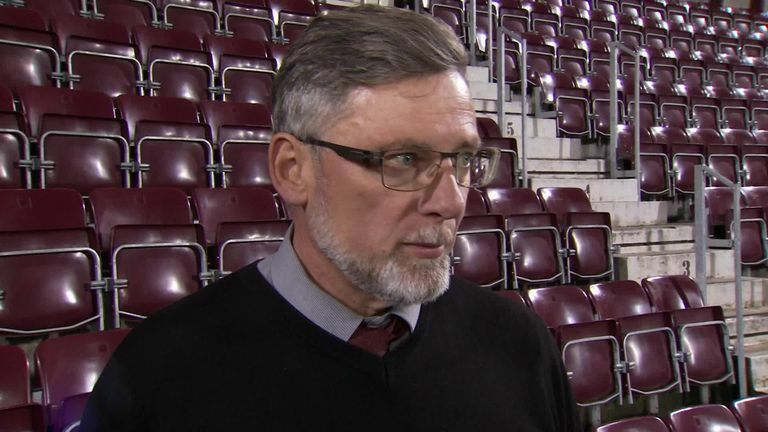 The game finished 0-0 to leave Hearts four points clear of Celtic at the top of the table, while Hibernian move up one place to fifth. "I got hit by a coin, it's a simple as that. Right on the chin, so it was a hell of a shot," Lennon told Sky Sports News after the game. "I'm not happy with what happened to Zamal. By all accounts, there's been an altercation with a Hibs supporter. "It's totally unacceptable and from our point of view, we will try to identify them as a club and he'll never come through the door again."